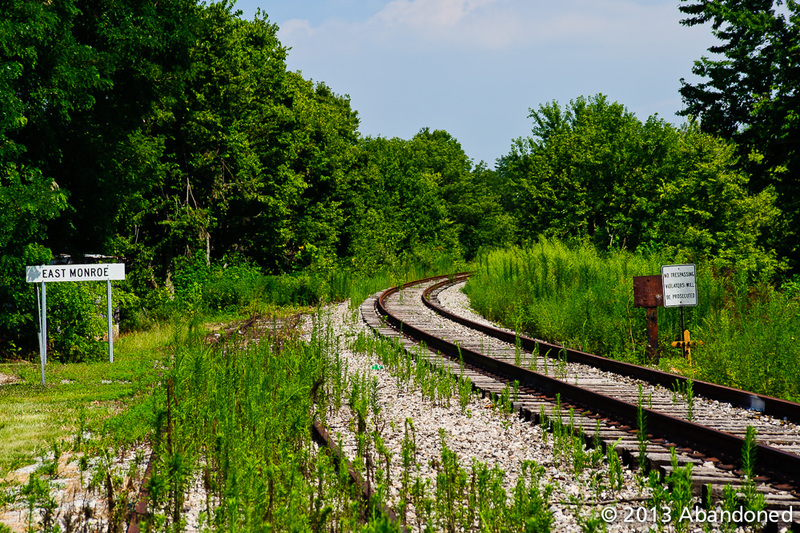 The Marietta & Cincinnati Railroad (M&C) is a defunct railroad that connected Cincinnati, Ohio to Parkersburg, West Virginia. Through acquisitions during the 1800s, the M&C commanded over 270 miles of railroad, from Cincinnati to Marietta and south to Portsmouth and Hillsboro. 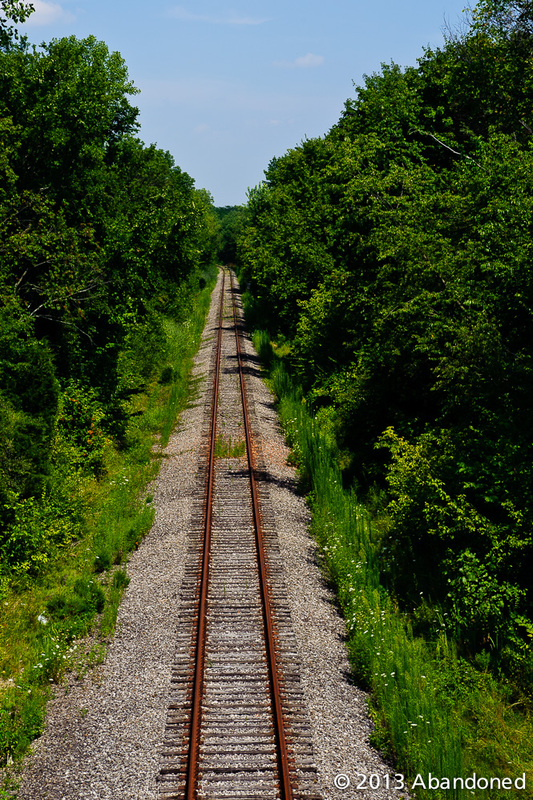 The line was later absorbed into the Baltimore & Ohio Railroad, becoming its mainline between Cumberland, Maryland, and St. Louis. Significant portions of the route have since been abandoned. 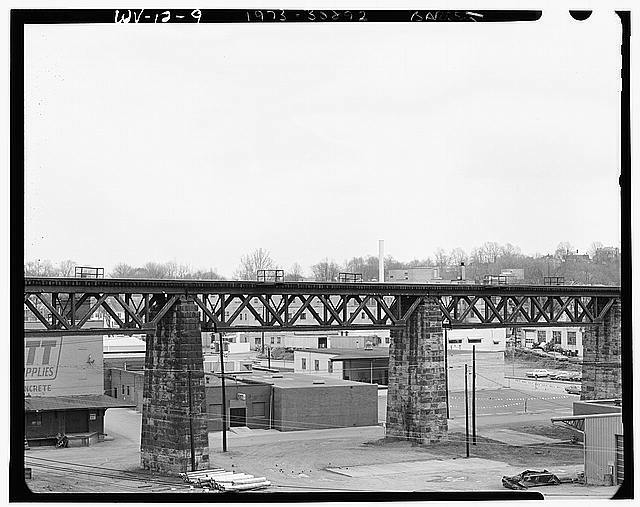 It was not long before the B&C proposed to rename the railroad the Marietta & Cincinnati Railroad by legislative enactment, in an amendment to the charter of the Franklin & Ohio River Railroad Company (F&OR), which was granted on March 12, 1845. 3 11 This amendment authorized the F&OR to construct its railroad from Marietta to a point on the B&C. 11 The F&OR also considered merging its stock with that of the B&C, in which event the F&OR would change its name to the M&C. An amendment to the charter on March 7, 1850, allowed the railroad to “construct its road to any point as to connect with any railroad or other improvement constructed to the Ohio River, on the Easterly side thereof, within the State of Virginia.” Another amendment on February 7, 1851, authorized the extension of the railroad to Cincinnati, with the privilege of connecting with or crossing the Little Miami Railroad. 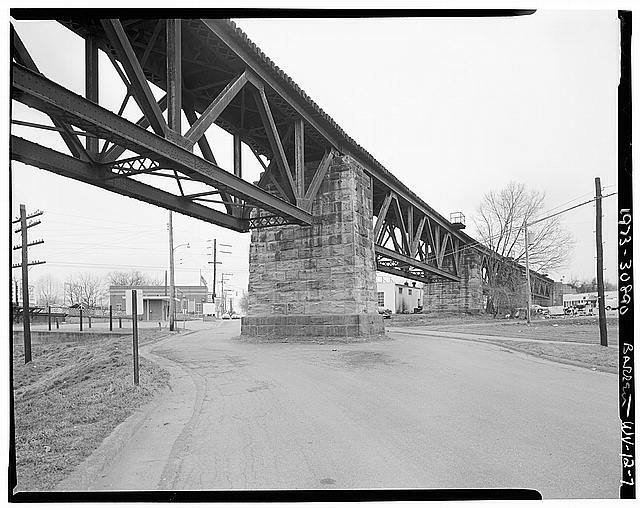 On March 21, 1851, the B&C’s eastern terminus was moved to Marietta and the name of the railroad was officially renamed to the Marietta & Cincinnati. 8 On the opposite shore, nine miles downstream was Parkersburg, where the Northwestern Virginia Railroad had recently completed a line from Grafton west to the city in 1857. 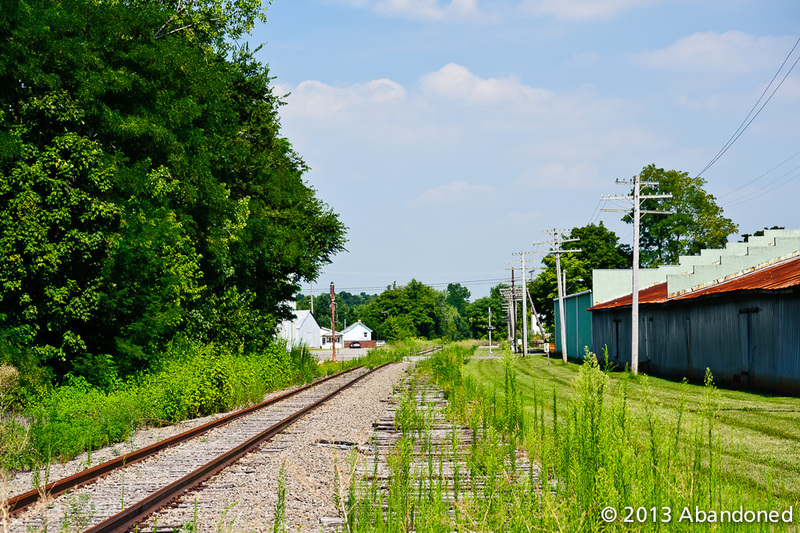 The line had been leased to the Baltimore & Ohio Southwestern Railway (B&O SW) in 1856, which later provided the B&O an important connection to the Midwest to the M&C via a car ferry between Parkersburg and Marietta. A map of the Marietta & Cincinnati Railroad between Cincinnati and Loveland. Source: Library of Congress; William Le Baron, 1860. Approximately $12 million had been expended to build the line before a financial panic in August when the M&C became insolvent. 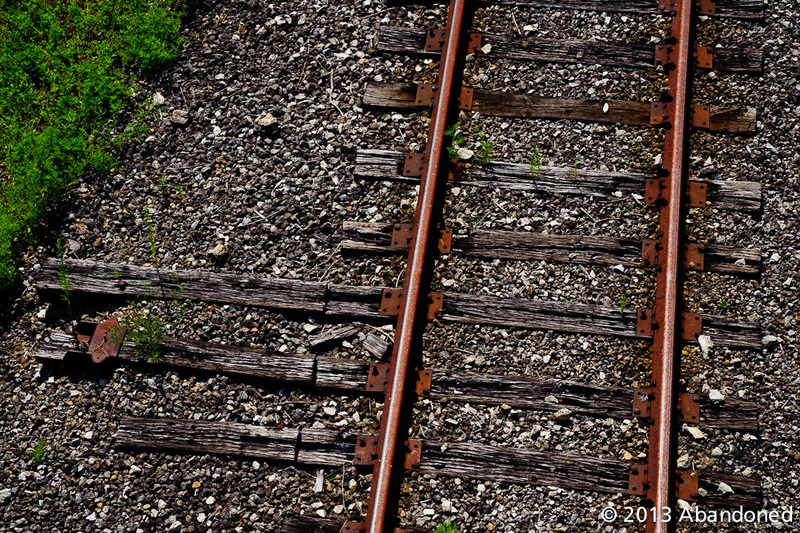 11 Litigation ensued and the railroad was placed into receivership. A decree for the sale of the railroad and other mortgaged property was rendered on January 7, 1860, and the sale was conducted on February 25 to the Trustees. 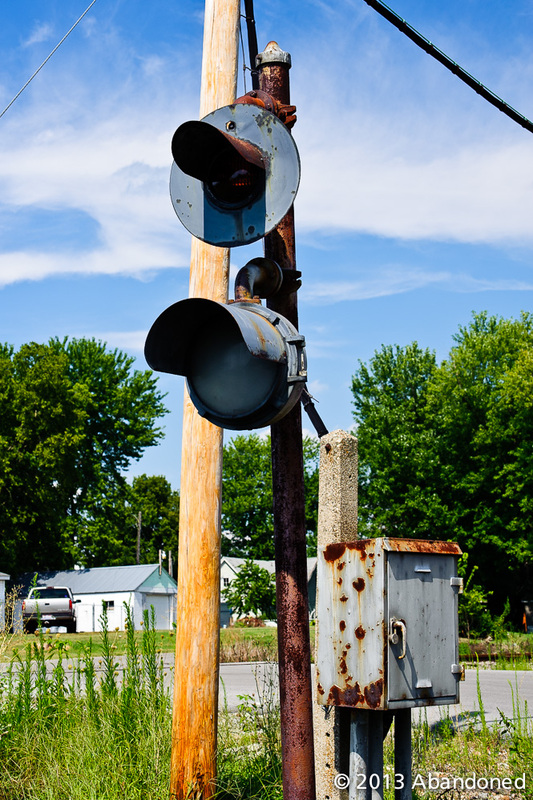 The sale was confirmed on May 2, and the railroad was sold to the Trustees who operated the railroad until August 15 when they transferred the road to the reorganized company. The new company was named the Marietta & Cincinnati Railroad Company as Reorganized. The adoption of share capital, amounting to $36.8 million, was distributed. 11 By this reorganization and sale, about $4.5 million of the stock and debt was erased. 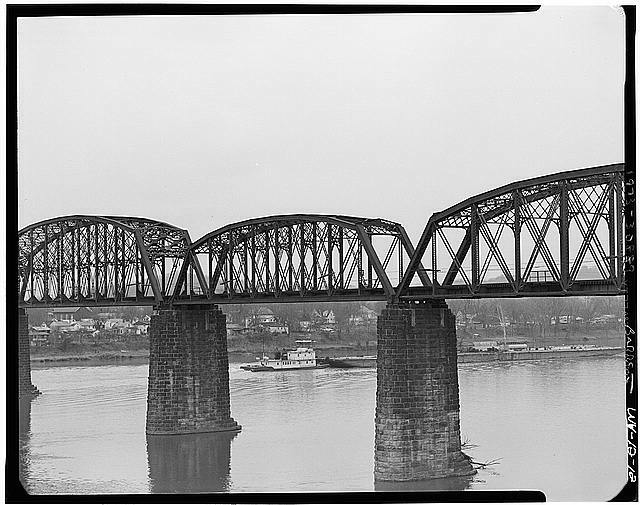 An early view of the Marietta & Cincinnati Railroad Bridge over Ohio River between Belpre, Ohio and Parkersburg, West Virginia. 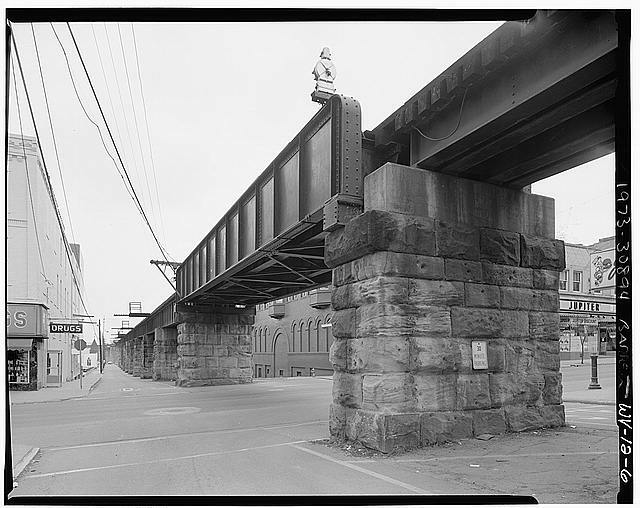 The Hillsboro & Cincinnati Railroad was incorporated on March 2, 1846. 3 11 Although not much is known about the railroad’s early history, it was acquired by the M&C in 1861. 11 The M&C had purchased 37 miles of track, 16 miles of which were merged into the mainline, with the remaining 21 miles becoming a branch from Blanchester to Hillsboro. 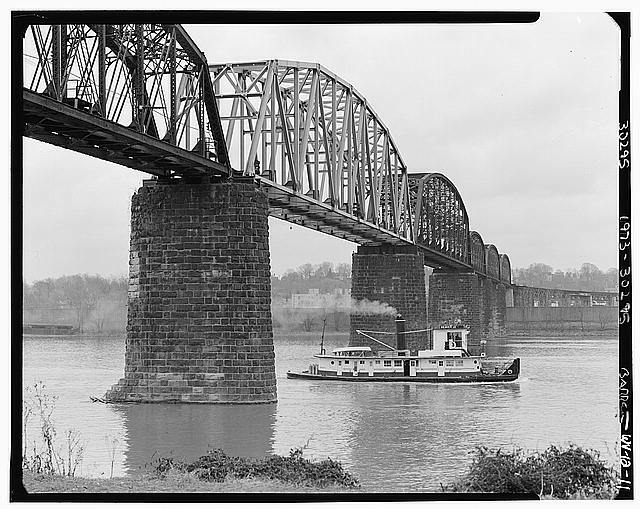 The Ohio & Mississippi Railway (O&M) was built between 1854 and 1857 and provided a connection between Cincinnati and East St. Louis, Illinois. 8 The O&M featured two branches. One extended from North Vernon, Indiana to Jeffersonville, and the other was from Beardstown, Illinois on the Illinois River to Shawneetown on the Ohio River. The O&M was acquired by the B&O SW in 1893. While the M&C east of Cincinnati was standard-gauge, the O&M was broad-gauge, which required passengers and freight to be moved between the two railroads via horse-drawn carriages and wagons in Cincinnati. 8 It was not until 1871 that the O&M was converted to standard gauge. The nine-mile Union Railroad was chartered on September 13, 1858, for a railroad between Scott’s Landing in Washington County to a junction with the M&C at Belpre. 11 Work began immediately after and was open to traffic in 1860. The Union Railroad was then acquired by the M&C for $127,000. The 70-mile Columbus & Cincinnati Midland Railroad (C&CM) was finished in 1885 between Columbus and Midland City where it interchanged with the M&C. 8 The C&CM was acquired by the B&O SW in 1890, thus providing a through route for the B&O between Pittsburgh and Cincinnati via Wheeling and Columbus. 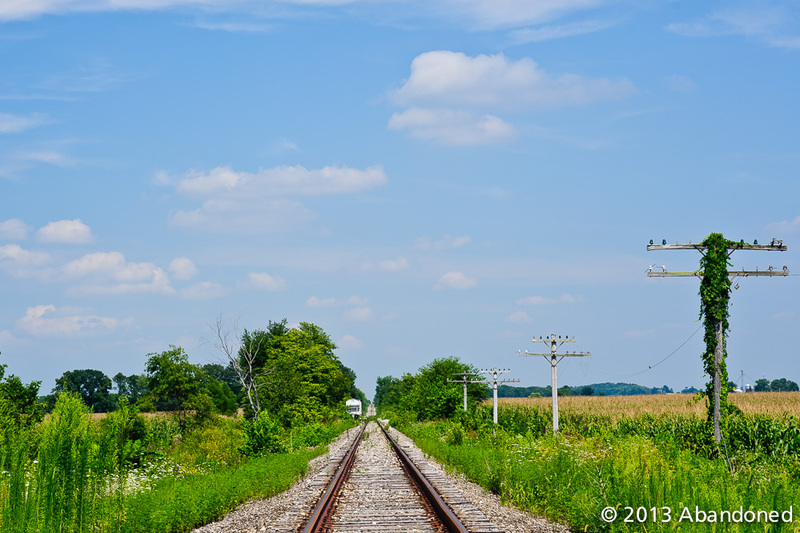 The Scioto & Hocking Valley Railroad (S&HV) was chartered on February 20, 1849, with the goal of constructing a railroad from Portsmouth to Newark in Licking County. 11 The S&HV was planned to follow along with the east side of the Scioto River from Portsmouth north to Circleville, east to Lancaster, and north to Newark. The route was later revised to connect Portsmouth to Jackson, Hamden, McArthur, Logan, Somerset, and Newark because of the development of the Jackson Coalfield in the southeastern part of the state. The Quakertown No. 2 mine in Petrea in Jackson County was the first coal mine to be serviced by the M&C after the end of the Civil War. 13 About ¼-mile west of Petrea was a small coal loading dock, where coal was brought to the dock via a mule-powered ½-mile narrow-gauge rail tram to a small slope mine. 13 This was replaced with a spur built by the M&C in 1866. Due to financial difficulties, the S&HV’s condition had deteriorated to the point that no work further north of Hamden Junction occurred. 11 14 North of the M&C, 42 miles had been graded and 37 miles cleared of vegetation. The S&HV was placed into receivership between March 1858 and 1863 when it was sold to several Providence, Rhode Island capitalists for $411,000. 14 The S&HV was reorganized as the Portsmouth & Newark Railroad on January 20, 1864, 15 and then sold in May under a decree in the Perry County Court of Commons Pleas to the M&C. 11 The S&HV, from Hamden Junction south to Portsmouth became the M&C Portsmouth Branch. The M&C became the Cincinnati, Baltimore & Washington Railway (CB&W) on February 16, 1883. 3 12 14 The CB&W, along with the Cincinnati & Baltimore and the Baltimore Short Line railroads, merged to become the Baltimore & Ohio Southwestern Railroad (B&O SW) on December 20, 1889. 14 The B&O SW acquired the C&CM in 1890 and the O&M in 1893, giving the railroad a connection to St. Louis. In 1900, the B&O SW was absorbed into its parent, the Baltimore & Ohio Railroad (B&O). 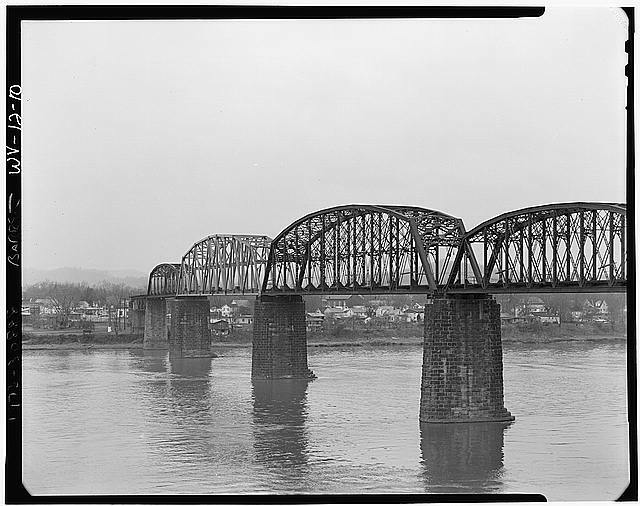 Owing to heavier carloads, the Ohio River crossing between Belpre and Parkersburg required structural enhancements, beginning with the replacement of the approach spans between 1898 and 1900 and the rebuilding of the main channel spans between 1904 and 1905. 18 The original piers were retained, but the steel structures atop the piers were rebuilt between 1914 and 1917. Source: William E. Barrett in 1973 for the Historic American Engineering Record, Library of Congress. A view of the new span that replaced one damaged in a gasoline barrel explosion. Source: William E. Barrett in 1973 for the Historic American Engineering Record, Library of Congress. The Chesapeake & Ohio Railroad (C&O) took financial control of the B&O in 1963. 16 In 1973, the C&O, B&O, and the Western Maryland Railway (WM) were brought together under one identity, the Chessie System. The WM was formally merged into the B&O in 1976. In 1980, the Chessie and the Seaboard Coast Line, which controlled the Louisville & Nashville, the Clinchfield, and Georgia railroads, merged to form the CSX Corporation. Despite the consolidation, CSX never had its own identity until 1986, when all of the merged entities was renamed CSX Transportation (CSX). In April 1987, the B&O was formally absorbed into the C&O, which merged into CSX in August. 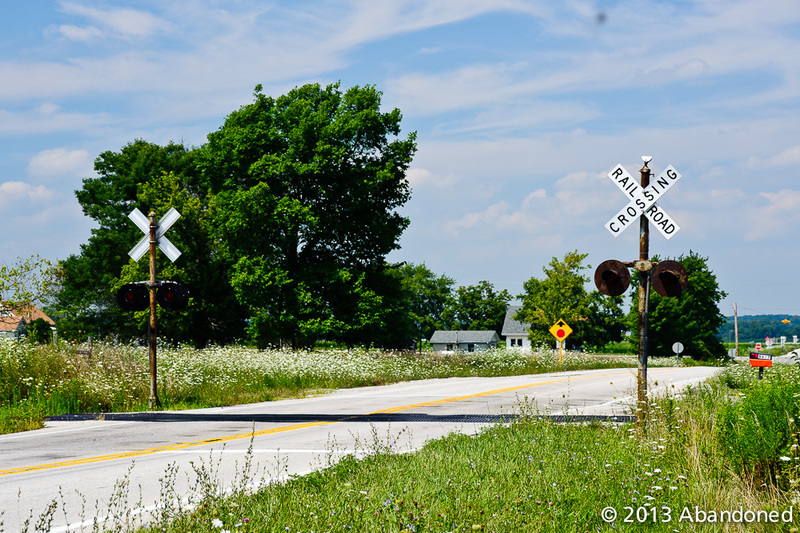 The remaining segments west of Midland to Cincinnati eventually became part the CSX Midland Subdivision, while the former mainline from Midland east to Greenfield, a distance of 29½-miles, was retained by the city of Greenfield to service several industries. 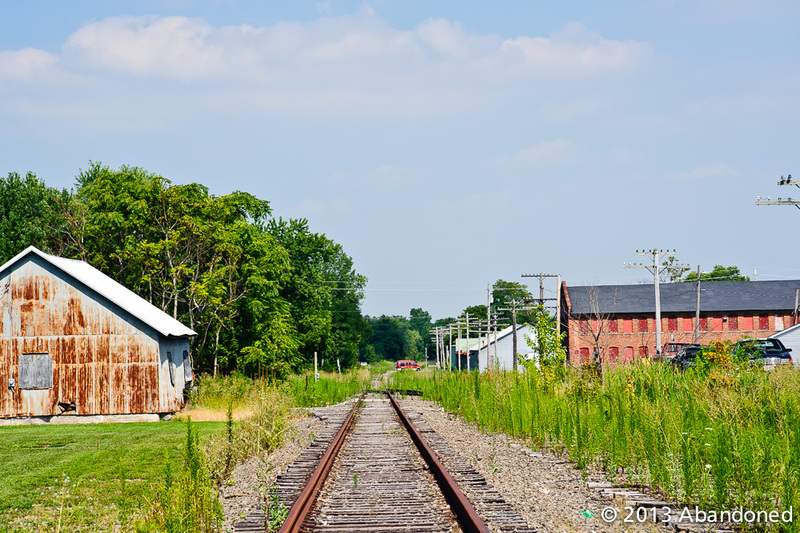 The Moonville Rail Trail is being developed on the former B&O mainline between Zaleski and Athens. Currently, 16 miles of the Moonville trail are open for passive recreation between Zaleski and Mineral, with the goal of connecting to the Hockhocking Adena Bikeway and the Athens-Belpre Rail Trail in Athens. 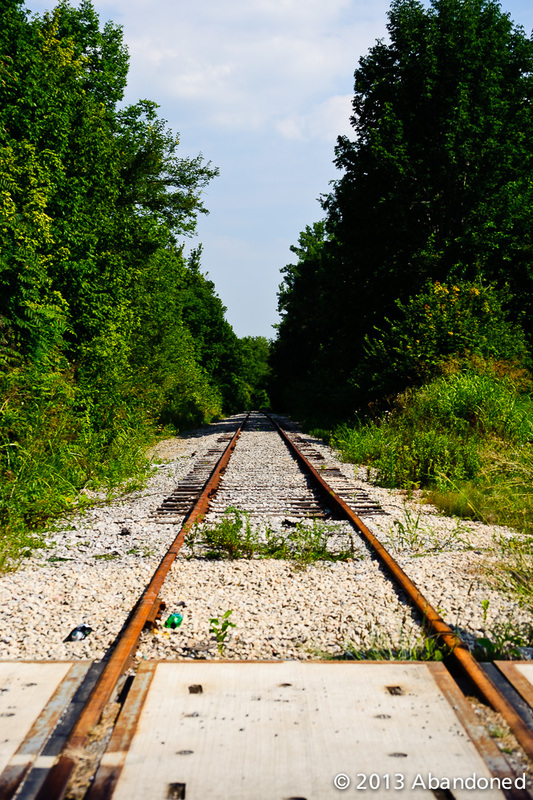 Concurrently, the Athens-Belpre Rail Trail is being developed between Athens and Belpre, with the goal of linking with the Moonville Rail Trail and the Hockhocking Adena Bikeway to the west and the North Bend Rail Trail in West Virginia to the east. Currently, 8.6 miles of the Athens-Belpre trail are open for passive recreation over three discontinuous segments. 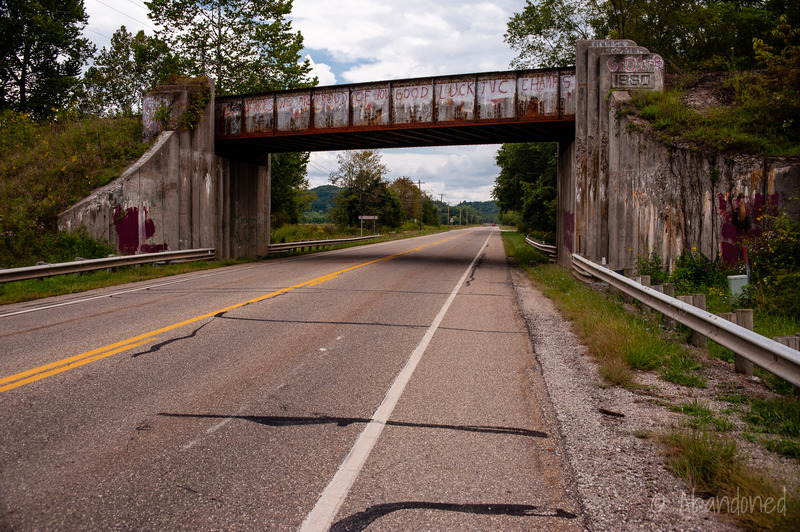 The B&O crossed over US 50 east of McArthur on a circa 1960 bridge. It is intact to serve a factory at Red Diamond. 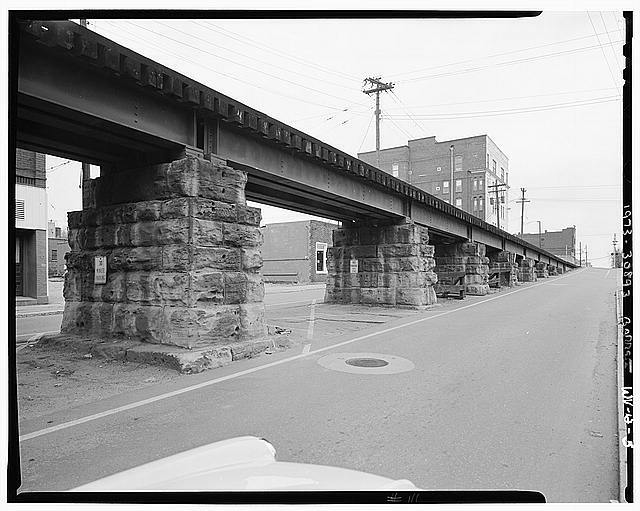 Disused portion of the B&O over Little Salt Creek near East Broadway St. in Jackson. DT&I/B&O at Keystone Station Rd. The DT&I/B&O at Clay. The line south of Jackson is no longer in use and the crossings are marked as exempt. The DT&I/B&O at B&O milemarker 25. Photographed from the John Evans Rd. crossing north of Oak Hill. A view of the DT&I/B&O south of Maple St. in Oak Hill. The scrapyard spur that was rehabilitated in late-2006 but was sparsely used is in the background. A view of the DT&I/B&O north of Maple St. in Oak Hill. The spur to Cedar Heights Clay Division has been long removed along OH 93 south of Oak Hill. 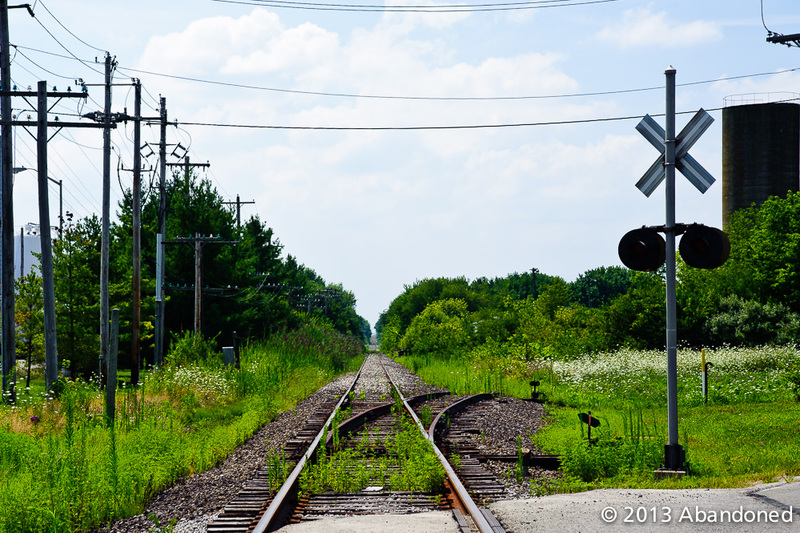 The DT&I/B&O siding for a brick factory south of Oak Hill along OH 93 was removed in Dec. 2012. This is a 2008 view. 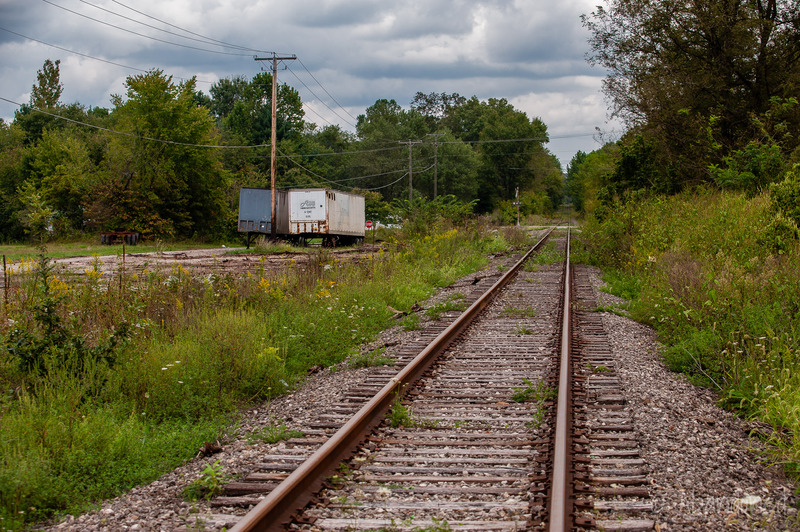 The DT&I/B&O siding for a brick factory south of Oak Hill along OH 93 was removed in Dec. 2012. The DT&I/B&O at Blackfork Jct. 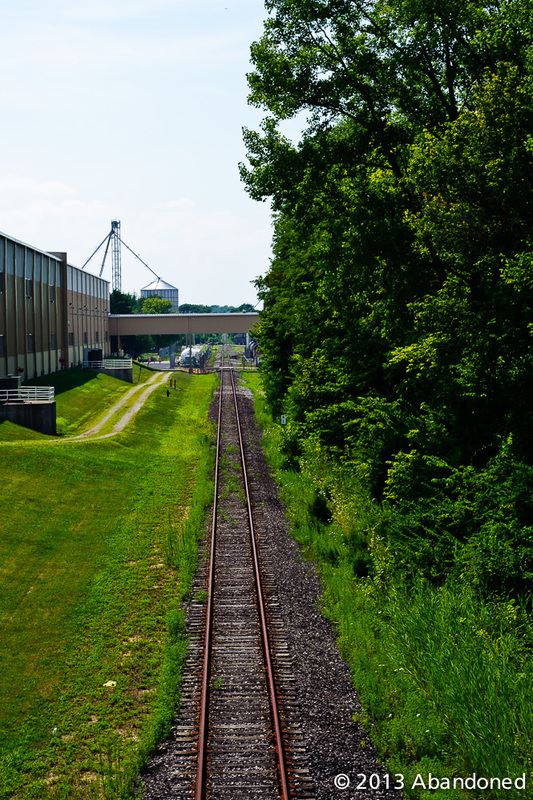 The DT&I/B&O at the end of the line in Monroe – Nock and Sons. The line has not been active since 2009. Morris, J. C., comp. “1840’s History.” Annual Report of the Commissioner of Railroads and Telegraphs. N.p., 31 Dec. 1902. Web. 10 Aug. 2010. Article. “The Marietta and Cincinnati Railroad Company.” Letter. New York Times 26 Nov. 1865: n. pag. Article. Jakucyk, Jeffrey B. “Baltimore & Ohio to Columbus – Indiana & Ohio, Midland Subdivision. “Cincinnati Traction History. N.p., n.d. Web. 11 Aug. 2010. Article. “MOVEMENTS IN THE WEST. ; Bridges on the Marietta and Cincinnati Railroad Burned by the Rebels–Exchange of Rebel Prisoners–Indiana and Ohio Troops Marching on.” New York Times 23 Aug. 1862: n. pag. Article. “Burning of a Tunnel on the Marietta and Cincinnati Railroad and Loss of Life.” New York Times 29 Sept. 1868: n. pag. Article. Reynolds, Kirk, and Dave Oroszi. “Baltimore & Ohio Southwestern.” Baltimore & Ohio Railroad. Osceola: MBI, 2000. 30. Print. 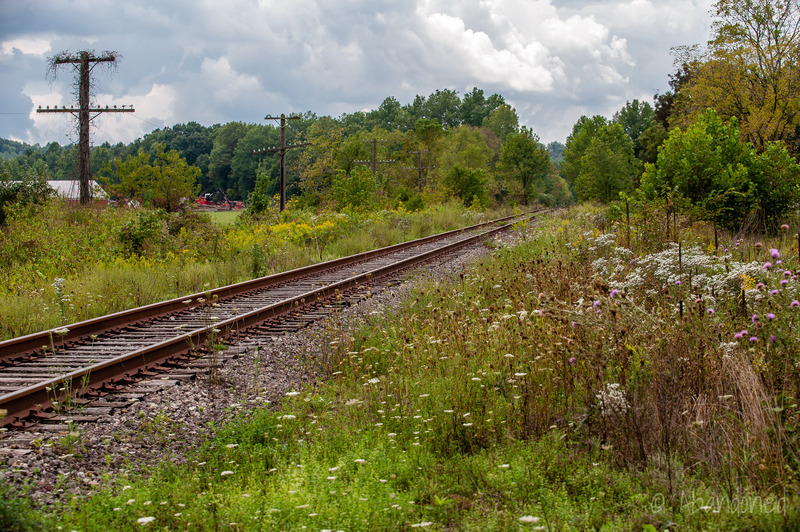 Dupler, David W. “CSX Tracks Through Athens Ohio – The Final Years.” Dupler RR. N.p., n.d. Web. 11 Aug. 2010. Article. Wright, George B. “Marietta and Cincinnati Railroad.” Annual Report of the Commissioner of Railroads and Telegraphs to the Governor of the State of Ohio for the year 1867. Columbus: Myers & Bros., 1868. 237-241. Google Books. Web. 11 Aug. 2010. Article. Ohio Genealogical So Jackson County, Ohio Genealogical Society. “Discovery and Pioneering Development of Jackson County Coal.” History & Families of Jackson County, Ohio. Paducah: Turner, 1991. 33. Google Books. Web. 23 Aug. 2010. Article. “Transportation and Communication: Baltimore & Ohio Southwestern.” A Standard History of the Hanging Rock Iron Region of Ohio. Ed. Eugene B. Willard et al. Vol. 1. 1916. Marceline, MO: Walsworth,, n.d. 97-98. Print. Robie, Dan. “Parkersburg to Clarksburg-Waist of the B&O Main part I.” WVNC Rails, n.d. Article. United States. Dept. of the Interior. 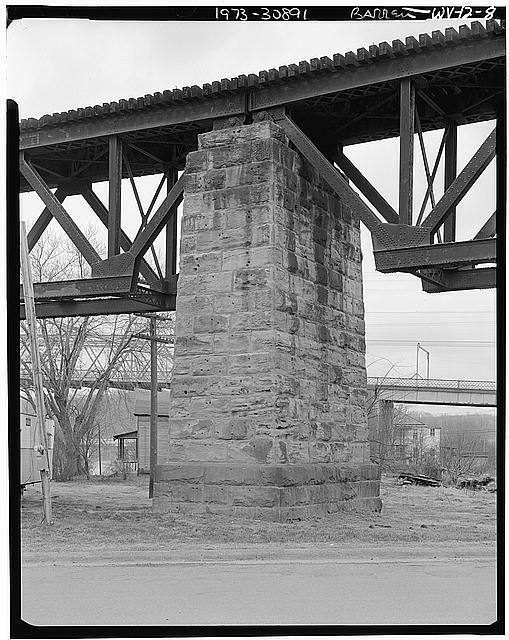 Sixth Street Railroad Bridge. Comp. Eliza Smith and Christina Mann. Washington: National Park Service, Dec. 1981. West Virginia Division of Culture and History. Web. 19 Jan. 2014. Article. Remember seeing B&O trains in Chillicothe, Ohio in the late 1960s going west bound towards Franklin and Greenfield, Ohio. Coaling station remains can still be seen in Chillcpothe. Have also seen remains f roumndhouse and two story station, which now have been totally removed from Chillcothe.